Honestly, I think that last bit was more of a message for me and not the boys. You see, he knows that forgiveness is very hard for me. I don’t think I’m easily offended – then again, does anyone think that about themselves? – but once I feel hurt or wronged in someway, I tend to hold on to that hurt. Sometimes for a very long time. It’s an awful way to feel and live, I know. And there have been times when I’ve tried very hard to let it go, but it stays and forgiveness doesn’t come. The thing about having relationships with other people is that sometimes we hurt each other. I do it and so do you. I’ve found that the relationships in my life that last are with people who are willing to sit down with me and work through our hurt with honesty and compassion. (Sometimes I’m not very good at that either actually.) A couple of my dearest friends, whom I love and to whom I would donate a kidney if it meant keeping them in my life, are people who I have hurt, who have hurt me, and who I have had very uncomfortable conversations with. (It’s okay to laugh at that!) Then again, I also have a few very close friends who would receive my kidney if necessary that I have not had that experience with. So it’s not a requirement. God grant me to grace to forgive, even as You have forgiven me. Amen. My youngest son gave me a waffle maker when he was little as a Christmas gift one year. A couple Christmases later, he gave me yet another waffle maker. He REALLY likes waffles! So, one of our family traditions is homemade waffles on Saturday mornings when our sporting schedule allows. 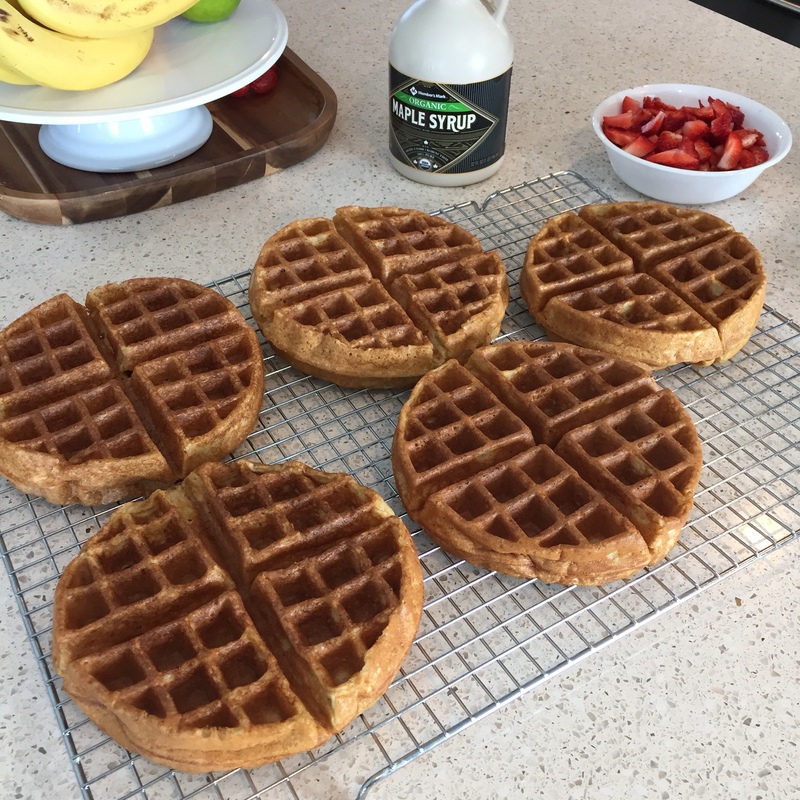 My favorite homemade waffle recipe is from King Arthur Flour. 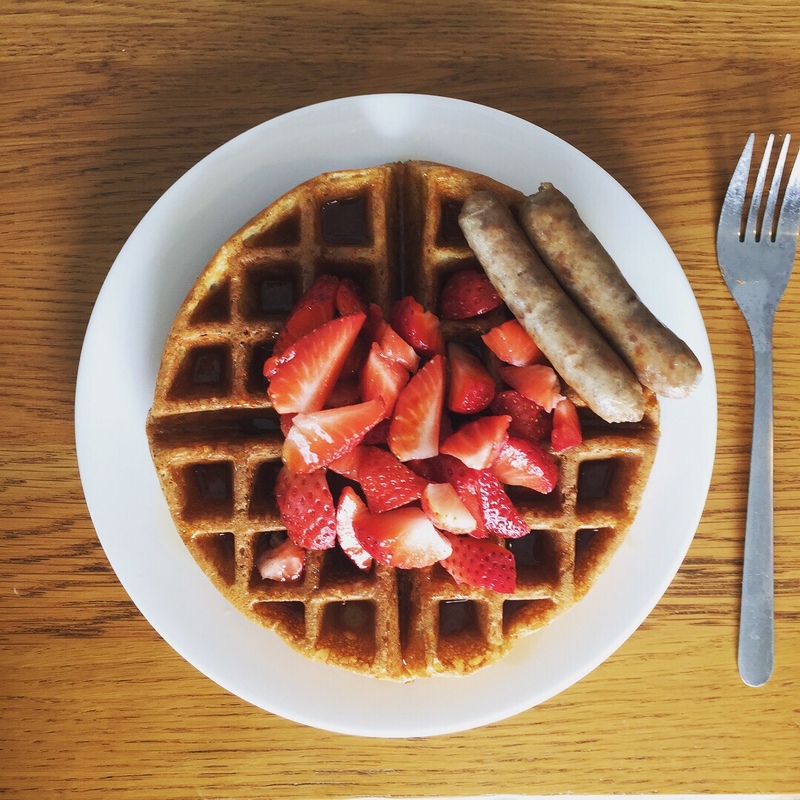 Now that I’m on a low fodmap diet, I really wanted to keep our sleep-in-Saturday breakfast tradition without sacrificing taste or texture of our favorite waffles (or making a separate batch for myself). 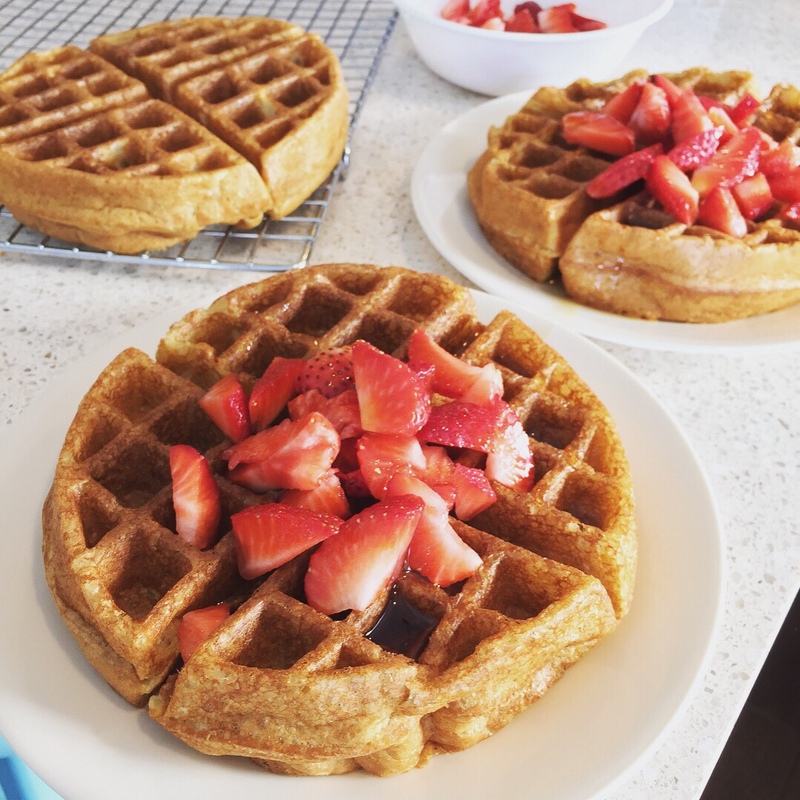 With just a few modifications to our old trusty recipe, we are all able to enjoy our morning waffles without worry of my tummy going on strike. Here’s how. 1-3/4 cups of lactose-free cow’s milk + 2 tsp Bragg’s apple cider vinegar, stir and let stand for 5 mins. Mix dry ingredients. Whisk together wet ingredients. Combine and whisk for 10 secs until just combined. The batter will be thin and bubbly. When your waffle masker is warm, pour batter in evenly until most of waffle dents are covered. Do not over fill. Close and wait until the “ready” light comes on. I found these cool quicker than the regular recipe so keep a close eye. Remove waffle when ready and place on a wire cooling rack. Makes 5 large round waffles. 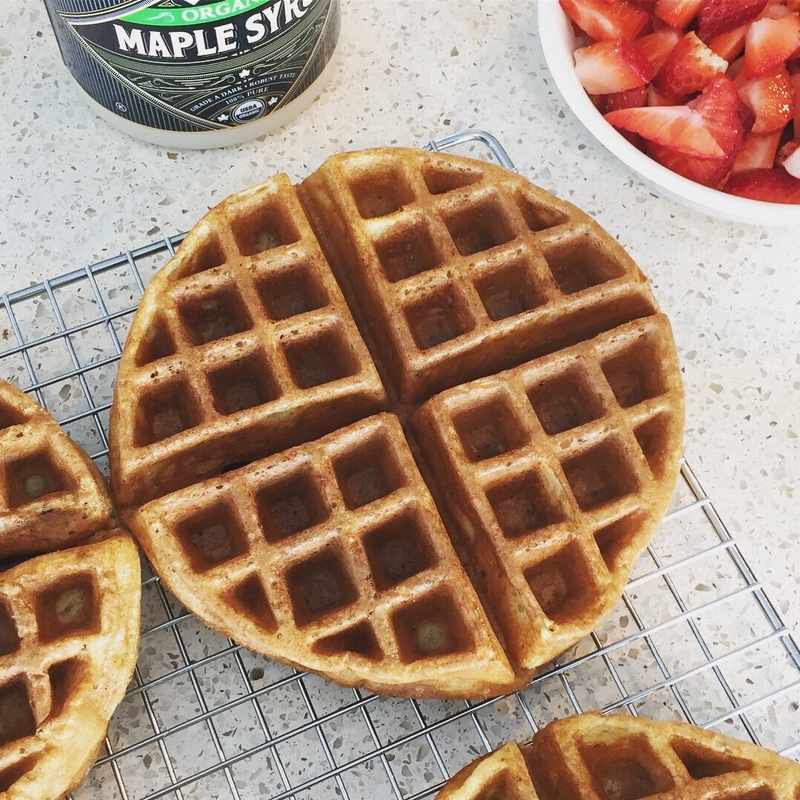 Serve with fresh berries and 100% pure maple syrup to stick to low fodmap. Note: I use an Oster brand, non stick waffle maker that spins (like the ones in hotels), and it works fantastic without any yucky non stick spray. If you have trouble with sticking, feel free to grease up your waffle maker however you please. 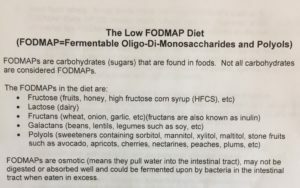 What the heck is low FODMAP?? 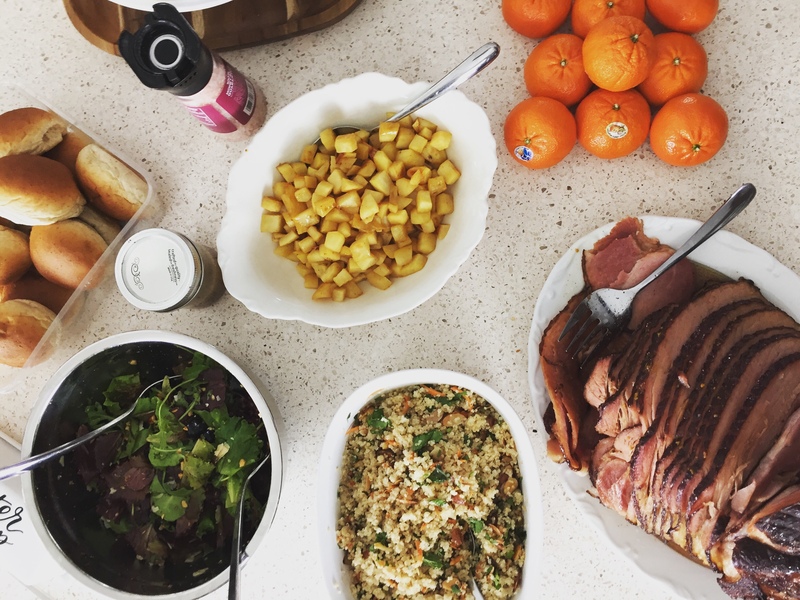 If you’ve been following me on Instagram the last week you know that I’ve recently started using the hashtags “fodmapper” and “lowfodmap” with some food posts I’ve shared. I’ve had quite a few friends text or pull me aside at kids’ sport events to ask questions. And you too might be wondering, “What the heck is ‘low FODMAP? '” Well, I’m glad you asked. I’ve always struggled with GI issues. As a child, there were things I wouldn’t eat because they gave me a tummy ache. As a teen, I began to have stomach pains and was eventually diagnosed with gastritis (too much stomach acid eating away at my stomach lining). I was able to get that under control as an adult with better eating habits. I still (mostly) avoid foods that I know will irritate me, but I have continued to struggle with bouts of unexplained….well, bathroom issues. After a couple of episodes in the last few months that lasted for several days that weren’t like I-ate-something-bad or viral, I decided it was time to see my primary care doc. After going over all the symptoms and history, my nurse practitioner began fumbling through resources in her office. Now I consider myself pretty up to date on health food and we generally try to eat healthfully. So imagine my surprise when my NP hands me a few pages of information on a diet regimen I’d never heard of. 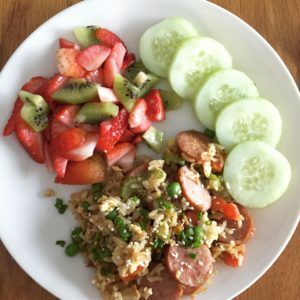 Uncured kielbasa fried brown rice with low fodmap fruits and veggies. My NP explained it to me this way: Different foods have different lengths of sugar chains in them. And sometimes, when our body encounters a sugar it doesn’t like, it either doesn’t know what to do so it shuts down, or it speeds up to get rid of these yucky things ASAP. The sugars that are troubling have been identified in a recent study as FODMAPs. I can’t actually pronounce what that stands for so I’ll leave this here for your educational purposes. In the last five years or so, eating a low FODMAP diet has proven successful in treating patients with IBS and inflammatory bowel diseases. If you’re familiar with the Whole 30 program, it is similar. 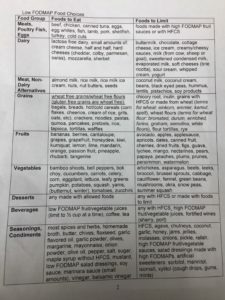 There is a six week elimination period on a limited diet to give your system time to repair any damage, and then you add sugar groups in one at a time to see how your body responds and to identify what your specific trigger is. To rule out other possible causes for my symptoms, my NP also ordered several blood tests. My celiac test was negative, but, since I have two relatives with celiac, she ordered a genetic test for celiac. Interestingly enough, I do have one of the two genes for celiac. The gene I have is one that 90-95% of patients with celiac also have, but only about 20% of the general population has. What does that mean for me? Although it doesn’t mean I have celiac, it means I have a greater risk of later developing it, doubled down by the family history factor. My NP also said that this does not mean I’m not already gluten sensitive. I’m guessing, even after the six week elimination period, I will continue to eat gluten free. So off I went with a (short) list of foods I can eat and (a slightly longer list of) foods I can’t eat, feeling slightly overwhelmed at the challenge before me, but also grateful for my NP’s listening ear and optimistic that she might have found a key to me feeling better. Also, gluten free is one thing. But no garlic and onions?? Are you kidding me?!? 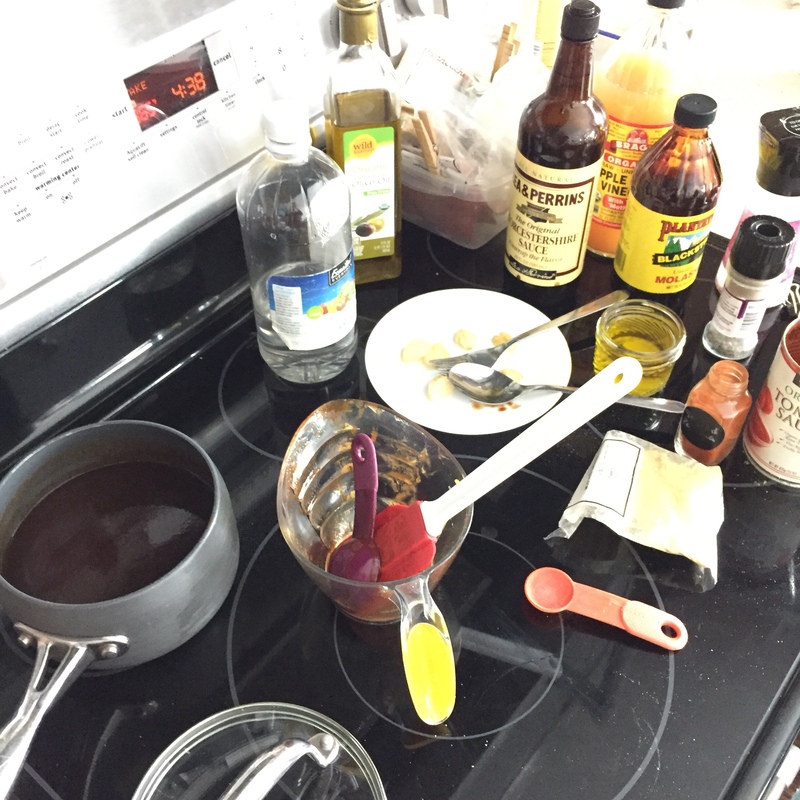 Making low fodmap bbq sauce, onion and garlic free. I’ve been on this diet for almost two weeks now and I’ve already noticed positive changes. If you read my style + beauty post, you may remember that I’d felt like I’d gained a little weight in the last year and I’ve been wearing a lot of leggings. Although weight loss is certainly not the goal, I have lost at least two pounds already, and I almost immediately noticed my belly flattening. Apparently, instead of gaining weight with age, I’ve just been really bloated and didn’t know it. I can wear jeans for more than a day at a time without my midsection feeling tender and painful. I don’t think I knew how uncomfortable I was on a daily basis until I began to realize what a calm belly actually felt like. So, as challenging as changing one’s eating habits is, I can’t tell you how thankful I am for feeling in control of my body again. And that is just the encouragement I need to stick with it even when every one around me is enjoying cheese burgers and ice cream. This way of eating is totally do-able with optimism and some creative thinking. 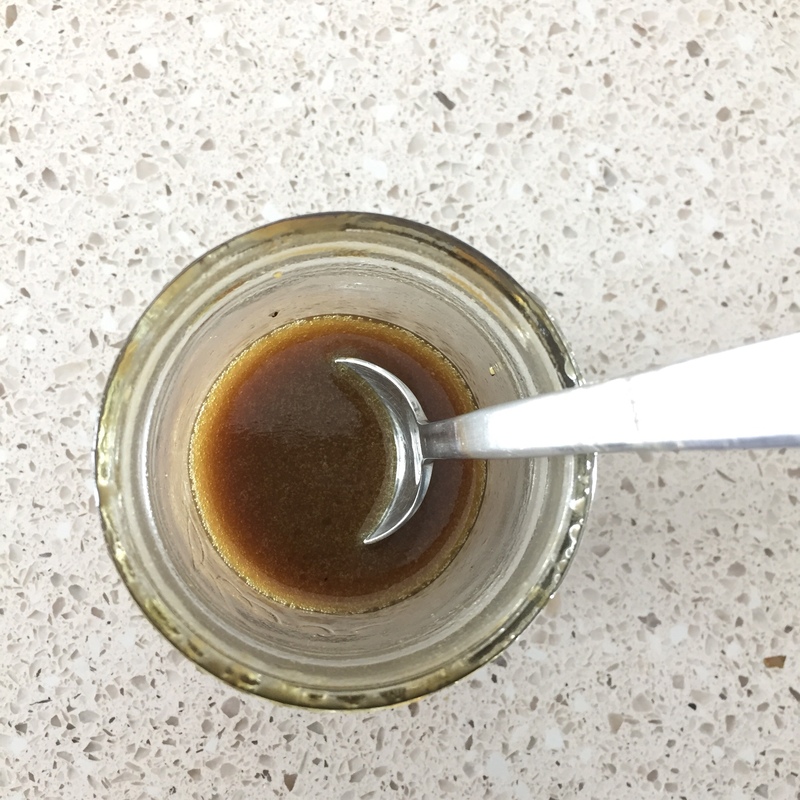 I will be sharing recipes in the coming days and weeks that are low fodmap, starting with this salad dressing recipe below. Even if you don’t follow this particular diet, maybe you’ll find something healthy and delicious to add to your recipe box. Mix all ingredients together and use a whisk or milk frother stick to emulsify oil and vinegar. 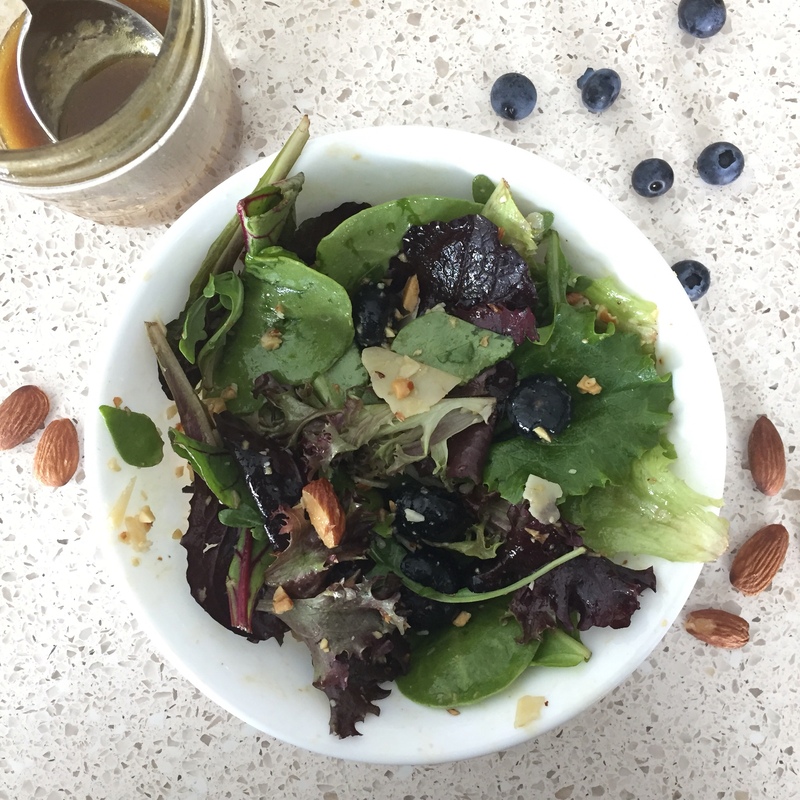 Serve over dark green with chopped, lightly salted, roasted a almonds, fresh blueberries, and Parmesan cheese shavings. YUM! Store in a clean, glass jar in the fridge. Shake it up or warm it up for 10 secs in the microwave to reuse. Note: A co-worker who asked about my diet, shared the original recipe with me that she got from an employee at our local Aldi. I modified the original slightly to my tastes. But I’d like to give credit to both of these women for their part in sharing this with me. Sometimes it takes a village!